» SEPA:MUG-N-HUG Cpl. Josh Murray USMC Warriors' Watch Riders: WE HAVE YOUR BACKS AT HOME! On a wet Saturday evening February 18th Cpl. Josh Murray USMC was recognized for his dedicated service to our country by WWR, AHW, The Second Brigade and many friends and extended family at Barnaby’s of America in Havertown, Pa.
Josh is the youngest of three children of John and Teresa Murray. 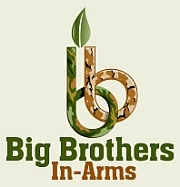 He has an older brother Kevin, also a Marine as well as a sister Jamie. Josh has a son Donte and another child on the way. Josh went to vocational school for automotive technology. After graduating high school he started repairing cars in his father’s shop but wanted to be challenged and try something different. He decided he wanted to join the Marines like his brother Kevin. Josh and his good friend TJ Procaccio made a pact to go together on the buddy system. They wanted to do something better with their lives. Warriors Watch Riders were invited to DROP IN on a scheduled gathering at Barnaby’s in Havertown by Josh’s mother Teresa to celebrate and recognize Josh’s service to our country. WWR, A Hero’s Welcome and a large contingent from The Second Brigade led by Rabbit rallied at the Manoa Shopping Center and at 8:30. We held a ride briefing which included a minute of silence in honor and recognition of our dear friend and founding member of WWR Kat Fialkowski. We announced that this ride went on as she would have wanted and would be in her honor. We then proceeded to Barnaby’s of America a short distance away. With road guards William, Lee, Visionrider, Walker and others in place the procession of big flagged bikes followed by many more motorcycles, cars and trucks entered Barnaby’s parking lot. 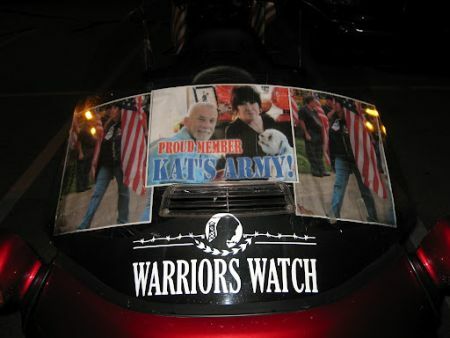 A “KAT’S ARMY” banner was displayed on the windshield of the leading RC motorcycle. We circled the building with lights flashing and horns blaring and pulled up to the front door. There we were met by a very surprised Marine Corporal along with his family and invited guests. I believe the Marine’s first words were “What’s this all about?”. Well.. it was about HIM!! A line immediately formed to shake the hand and pat the back of Cpl. Josh Murray. We then provided a PROPER Welcome Home for Josh by thanking him for his service, sacrifice and dedication to keeping us all free and safe here at home and presented him with our Warrior’s Watch Honor coin. He then received a certificate recognizing his service to our country, and a thank you from a grateful nation presented by Maria and many members from A Hero’s Welcome. We then learned of a second Marine veteran of Afghanistan in attendance at the festivities and presented Cpl. Michael Morrow with our WWR Honor coin and thanked him for his service and sacrifice to our country. Cpl. 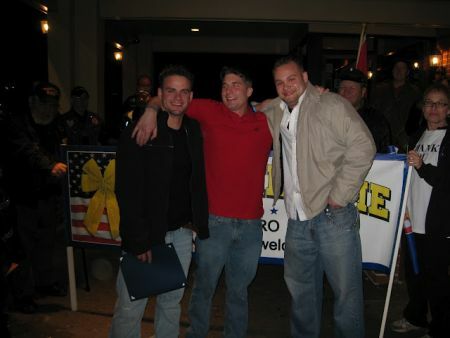 Murray was then joined by his brother Kevin (who was Welcomed Home along with TJ Procaccio a short time ago) and Cpl. Morrow. The first pictures were of The Second Brigade greeting all three Marines. 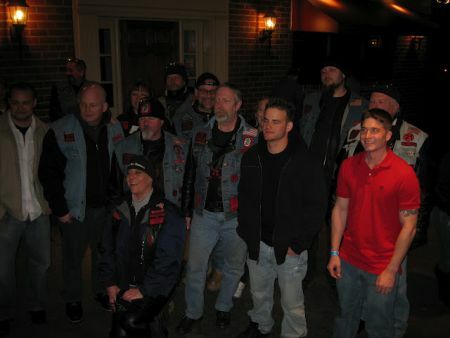 Then it was time for the traditional WWR and AHW group shot (cameras on the left, riders and Hero’s on the right!) After a few more hugs, and a lot more mugs we rode into the dark night to allow the party to continue. WWR would like to thank Teresa and John Murray and the entire Murray family for inviting us to participate in this very well deserved Welcome Home celebration for Josh. We thank the Procaccio family for their support in arranging this celebration. Warriors Watch Riders also extend our sincere thanks to Bill Hendricks, General Manager of Barnaby’s, for his assistance in arranging this surprise recognition ceremony. No user commented in " SEPA:MUG-N-HUG Cpl. Josh Murray USMC "